GOKPOP | Exclusive K-News in Malaysia & Singapore: Spend your year end by partying with BLACK6IX! Spend your year end by partying with BLACK6IX! Do you have any plan for year end? 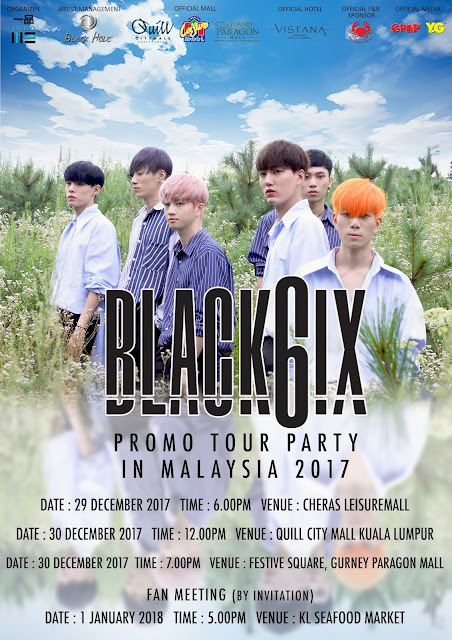 Spend your year end with 6 hot guys all the way from South Korea, Black6ix Promo Tour Party in Malaysia 2017! Get the latest Black6ix's Promo Tour Party in Malaysia at Yipin Studio Facebook .